Our Gatherings - Oasis Christian Ministries, Inc. 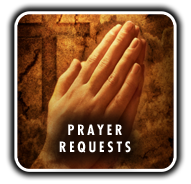 Governmental Prayer @ Anita's House, for directions email Anita at oasisfrontoffice7@gmail.com . Every 1st, 3rd and 5th Thursday of every month, 7-9p.m. Married Couples' Gathering - 2nd Thursday of the month, 6-8pm. Click the map for driving directions or click Map & Directions bottom left.